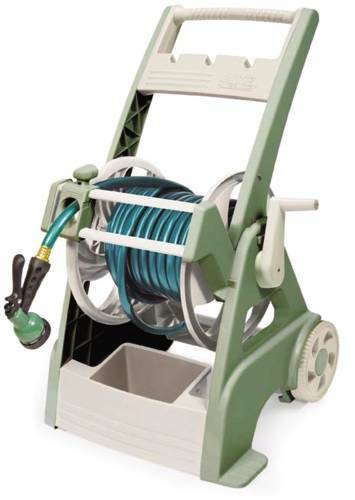 Hose Reel Cart with Slide-Trak Hose Guide. Stores Up To 200 Ft. Of 5/8" Hose. 5 Ft. Leader with Brass Couplings. 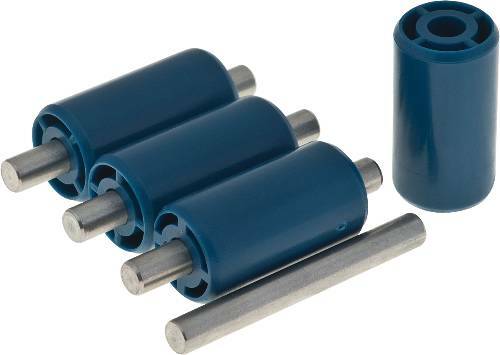 Large 8" Wheels For Easy Travel Over Rough Ground. Tough Polyethylene Construction.